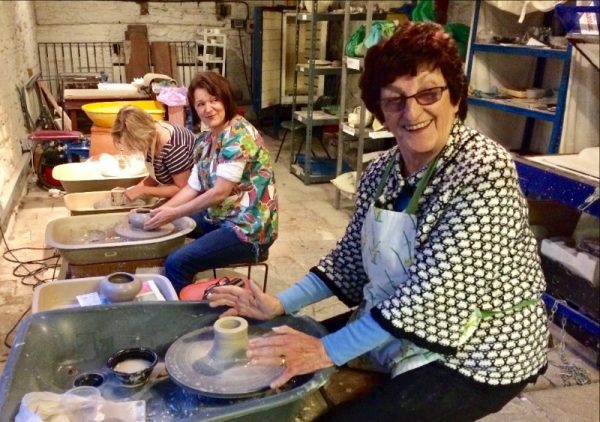 To deliver a better service for those attending pottery workshops at Nantgarw China Works we have decided to implement a number of changes. These changes will come into place from September 1st. All pottery workshops will now be run by Nantgarw China Works directly rather than as individual workshops run autonomously by each tutor. Sally Stubbings and Freya James will remain as your tutors and additional tutors may be engaged over time. The fees you pay will remain unchanged and will now come directly to Nantgarw China Works who will pay the tutors to run the courses. Nantgarw China Works will be responsible for the course content, health & safety, insurance etc . Enquiries about courses will come to and from a single email address workshops@nantgarwchinaworksmuseum.co.uk. All the tutors will be professionally qualified ceramicists with additional teaching qualifications. All tutors will be experienced in a wide range of ceramic skills including handbuilding, throwing on the wheel, slip casting and glazing. They will be familiar working with various clays and slips including earthenware, porcelain and bone china. In the event of a tutor being ill or unavailable we will endeavour to provide an alternative tutor to help ensure continuity. If you cannot attend a particular day there may be the opportunity to transfer to another day that week (subject to space being available). All the tutors and Nantgarw China Works have public liability insurance. All tutors have advanced Disclosure and Barring Service (DBS) checks allowing them to work with young people and vulnerable adults. There will be a 10% discount in the tearoom for those registered on our courses. The year’s workshop dates will be published in advance and also be available from our website. The following workshops are currently running. Please call on 01443 844 131 or email to confirm availability. For those with some experience. These workshops allow you to do your own thing but you can call upon the tutor’s expertise to help when required. You can handbuild, throw on the wheel, slipcast and work with slips and glazes. Costs are £5 per person. A small additional charge will be made for firing*. Whether you are working with glass or pottery our tutors will help you achieve your ambition as well as teaching you any new skills you wish to learn. Costs are £5 per session. A small additional charge will be made for firing*. A new workshop class for those interested in botanical painting. William Billingsley was renowned as a flower painter particularly for his painting of roses and there are many fine examples of floral painting on Nantgarw porcelain. There are many flowers in the Museum’s gardens which could be used as specimens for the class. Costs are £5 per person. Throughout the year we will also be running a number of masterclasses and one day workshops bringing in nationally recognised experts to share their skills. These will be paid sessions but there will be discounts to those registered with the workshops.